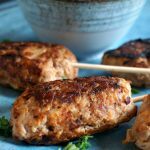 Grilled turkey kofta skewers with tomato onion salad, one of those healthy and easy low carb dinner recipes that go down a treat with the whole family. 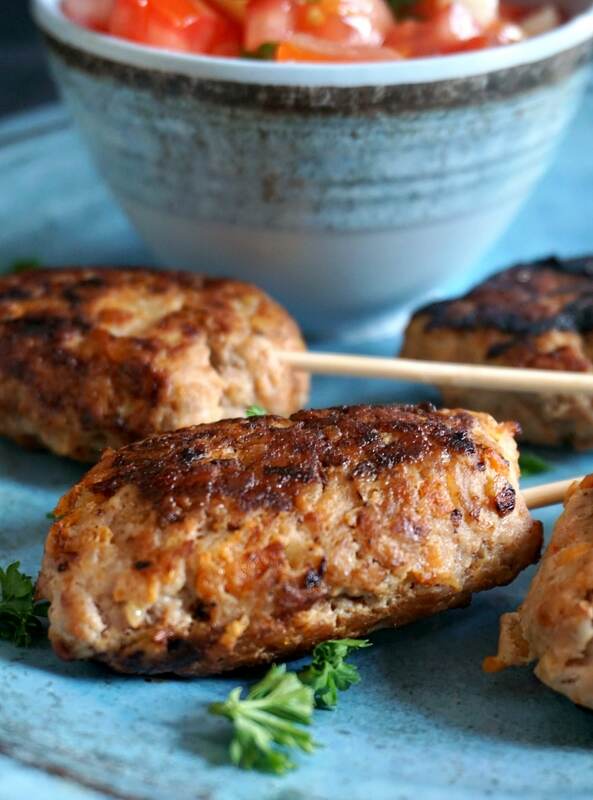 These yummy turkey kofta are ready in just 15 minutes, and are jammed packed with protein. Not to mention how delicious they are, and ridiculously easy to prepare. If you don’t happen to have skewers, that’s not a problem at all, you can just shape them and grill them as they are, especially if you go for a grill pan, where the skewers won’t fit in. You can serve them on their own, with the delicious tomato and onion salad and creamy Greek yogurt with mint, or flatbread or tortilla wraps. If there are any leftovers, they are great as a work lunch, that would save you some money on an expensive and bland take-away lunch. I started solids with baby number two a few weeks ago, and so far so good, she loves pretty much whatever she gets. She doesn’t seem to be too keen on pureed food though, and to be honest, I was going to try the baby led weaning anyway. It’a amazing to see how such a tiny creature grabs foods with her chubby little hands and munches on it. I so hope she’ll grow to be less fussy than her older sister, with her, meal time can be a hit and miss, you never know when she’ll demolish the whole plate or look at it with disgust. So disheartening to see her refusing cooked food, but there is still hope. And while she refused to even look at these turkey kofta, her little sister gladly took a few bites. Hoorey to that! I just shaped one kofta for the baby without any salt, and seasoned the rest. I did not use too much seasoning for us either, I think when you grill meat, the smokey flavour is delicious as it is, and you really don’t need to mask all that with strong spices. The only problem with grilled meat is that is can become dry if the meat is lean. 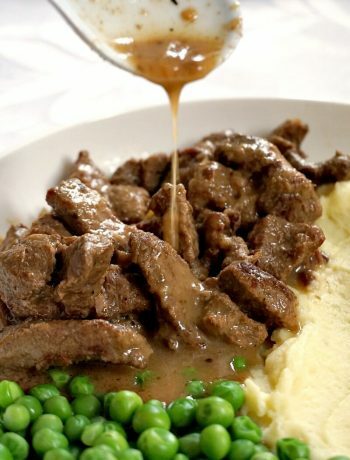 There are, however, a few tricks to get the meat nice and succulent, even if you opted for a reduced-fat mince. I used turkey thigh mince, rather than breast mince, I am not too keen on the breast one, it’s a bit chewy. I often use it in different dishes like Turkey, spinach and ricotta lasagna or Lean turkey spaghetti bolognese. 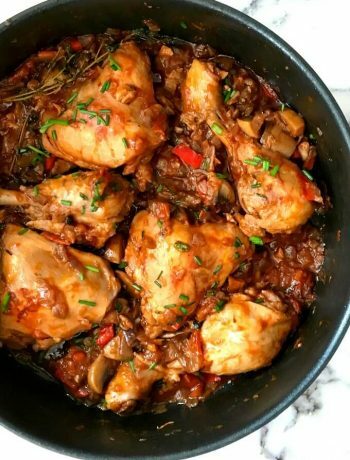 To keep it moist in this recipe, I added one tablespoon of vegetable oil to the mixture, and grated a raw onion, carrot and one boiled potato. The result: some succulent kofta, flavourful and incredibly tasty. Don’t think that the tomato and onion salad is too simple, it might look boring, but it’s actually one of the nicest and healthiest salads I have ever had. The olive oil and vinegar make the simplest dressing, and keep the salad light. Again, keep the seasoning low, just the good old salt and pepper would do, and really well. You can also enjoy these kofta with some homemade potato wedges. This is a real treat! 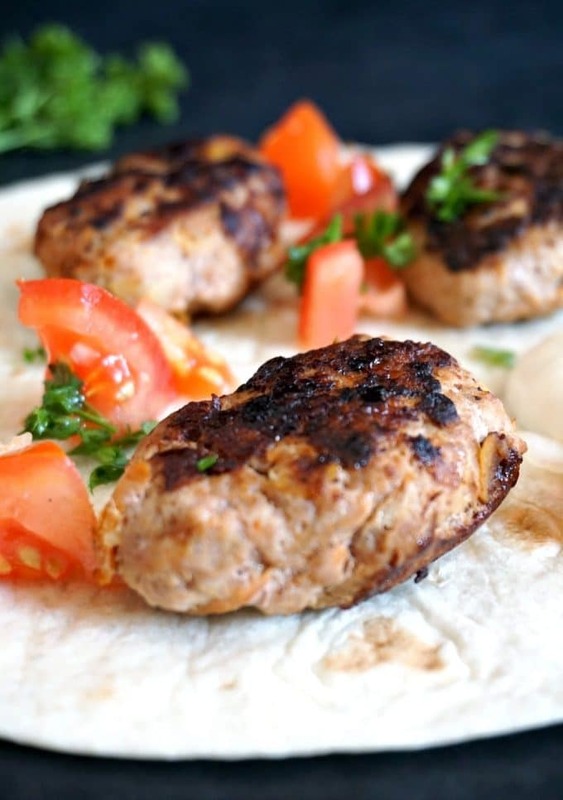 If you’ve liked my TURKEY KOFTA WITH TOMATO ONION SALAD or any other recipe on the blog, then don’t forget to rate the recipe and let me know how you got on in the comments below, I love hearing from you! You can also FOLLOW ME on FACEBOOK, and PINTEREST to see more delicious food and what I’m getting up to. 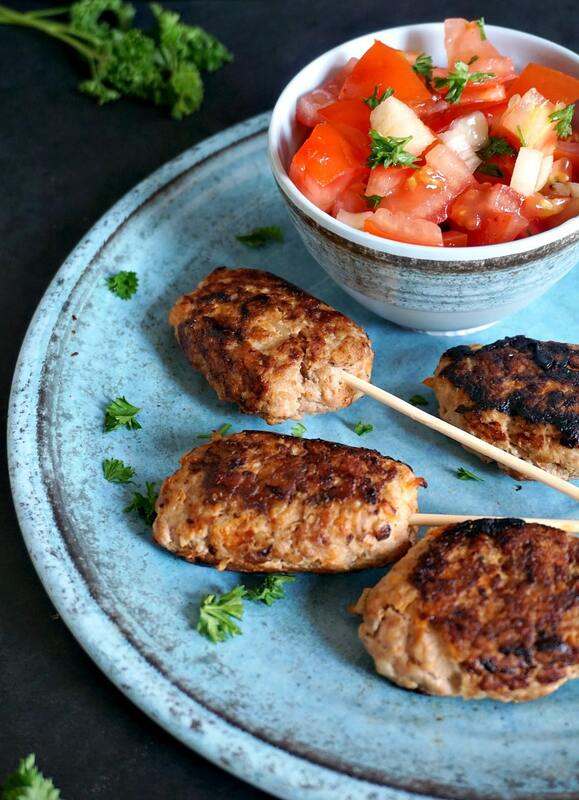 Turkey kofta with tomato onion salad, one of those healthy and easy low carb dinner recipes that go down a treat with the whole family. Ready in just 15 minutes. To make the kofta, grate the onion, carrot and potato and combine with the turkey mince. Add the oil, and chopped parsley and season with salt and pepper. Shape patties no thicker than 1 cm or 1/2 inch each. If you use a grill pan, pre-heat it, then shape 12 patties and place on the grill, for about 2-3 minutes on each side. If you use a large grill, shape the kofta around 12 skewers, then grill until cooked through. To make the salad, chop the tomatoes and onion, and add them to a bowl. Add olive oil and vinegar, season to taste, mix well and garlish with chopped parsley. 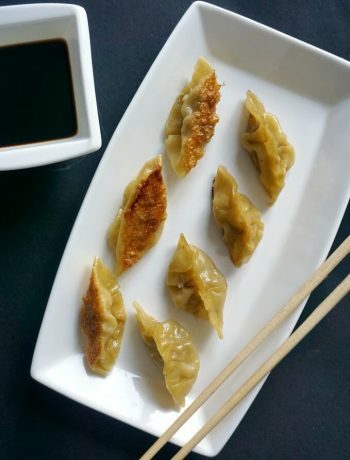 I’m bringing this recipe to #Recipeoftheweek. They look fabulous. Ive made lamb kofta before but never turkey. Thank you! They are tasty, I have to try with other meat too. I remember feeding my little ones was a roller coaster of emotions—I felt down when they reject something and elated when they enjoy something else. But overall, it was a joy to watch them experience food. I have never made kofta before, but I’ve got to try it. It sounds so simple to make, not to mention healthy and delicious!